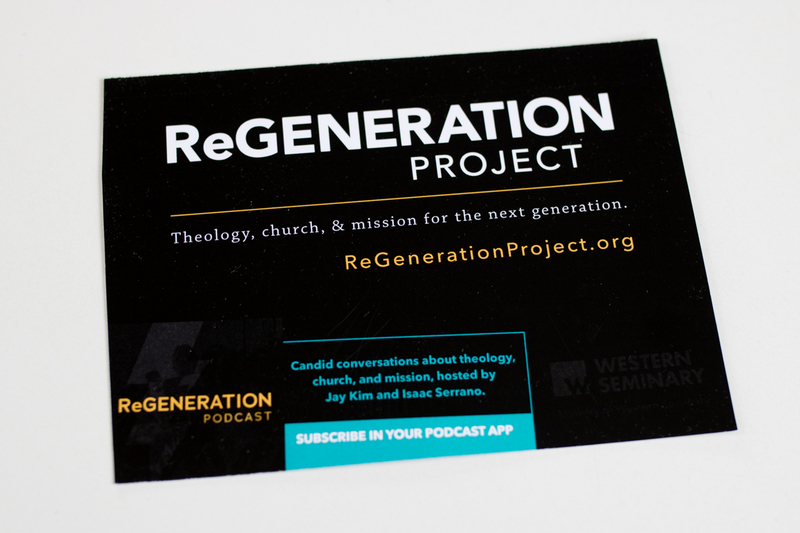 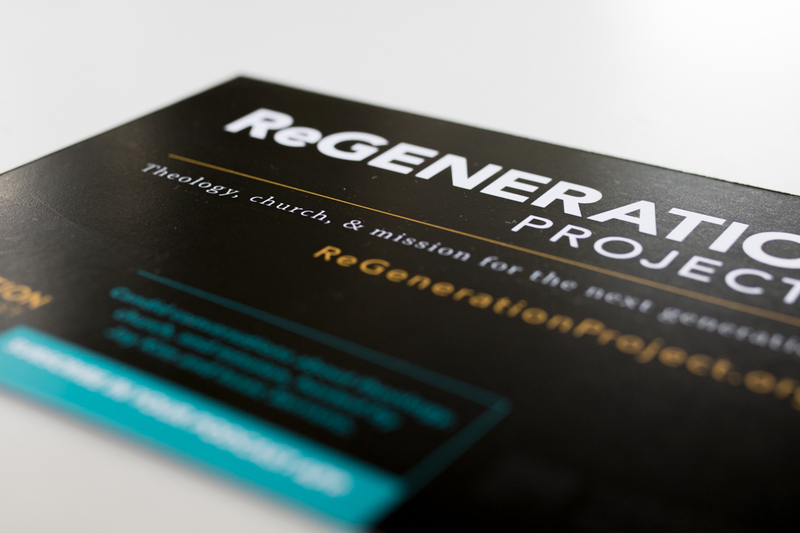 ReGeneration Project needed a print promotion for their upcoming event. 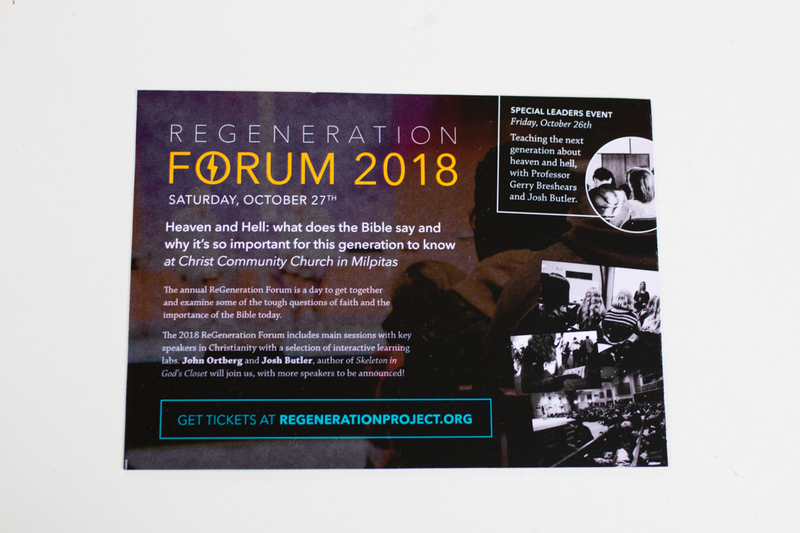 Each attendee is handed this postcard. 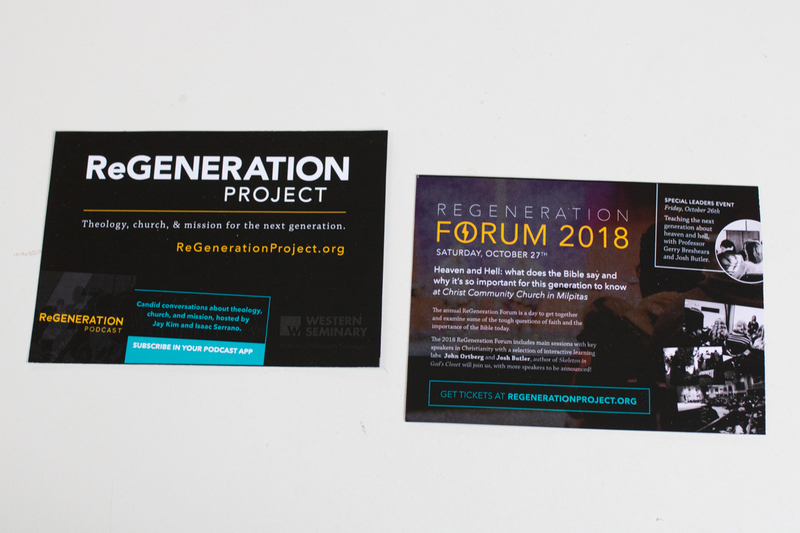 It is important to highlight the offerings of ReGeneration Project as well as promote their main fall forum.